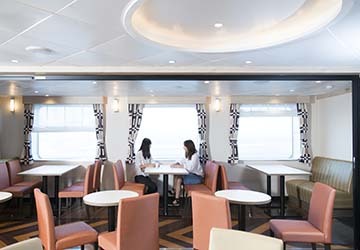 MOL ferries’ Sunflower ships provide a luxury travel experience when travelling across Japan. 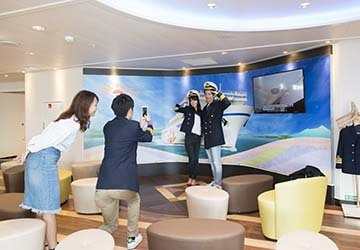 The service links the main island of Honshu to the northern island of Hokkaido connecting the ports of Tomakomai and Oarai and with twelve times weekly journeys, taking approximately 17 hours. 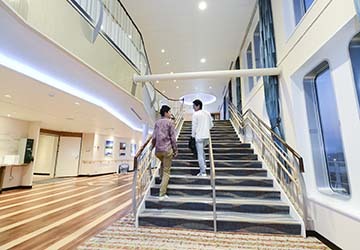 The ship has the capacity to carry 590 passengers, 154 heavy duty vehicles and 146 smaller vehicles on each outing. Whilst on board you can purchase a range of souvenirs, daily necessities and more in the on board shop, enjoy a great variety of food from the restaurant and kick back and relax in one of the many luxurious accommodation options. You can enjoy a romantic crossing with a private balcony in the Western Style suite. Take in the magnificent scenery of the Pacific Ocean and make use of the sofa seating, dining table, private bathroom facilities and television. The accommodation also comes with a huge range of toiletries as well as sleepwear and slippers. The range of rooms vary to suit the needs and budgets of all travellers. As well as the main suite, Japanese and Western style rooms are open to passengers to book and include twins, doubles and family cabins. A Premier barrier free (Western Style Room) is also available for those travelling with restricted mobility. The restaurant caters for every traveller, young and old. There’s a children’s menu and a range of food for older travellers, which includes a number of local delicacies and seafood. 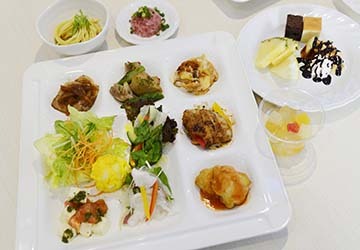 On the evening crossing, all restaurant meals are buffet style and feature traditional Japanese dishes as well as Chinese and Western offerings. 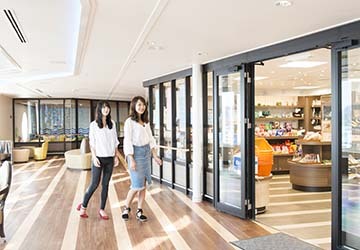 There are a number of vending machines on board where you can indulge in a variety of drinks from coffee to beer, water to sake. You can also get snacks from the vendor. You can buy gifts, souvenirs, necessities or even a little treat for yourself with the on board shopping experience. A selection of clothing, presents, stationary and alcohol are available for purchasing. This MOL service is far from lacking on facilities for passengers to use. Kids, adults, families and groups can all take advantage of the selection of amusements in the games corner. It’s not just humans who can enjoy the sailing as there is a designated pet room for your furry friends to cross with ease. The Pacific Ocean crossing comes with some stunning vistas and you don’t need to miss out. Grab a seat or have a little walk in the observation lounge and take in the splendid scenery. If you want to relax even further you can unwind in the bath and saunas, but once again you’ll able to make use of the crystalline backdrop out of the perfectly placed windows. 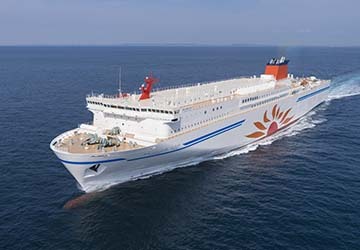 Please Note: Whilst we have taken great care in making our Sunflower Furano guide as accurate as possible, onboard facilities, services and entertainment may vary depending on the date and time of year that you travel, facilities mentioned may change without notification and ferry companies reserve the right to operate vessels other than those mentioned at time of booking without prior notification.